that you are beyond the reach of God's grace. 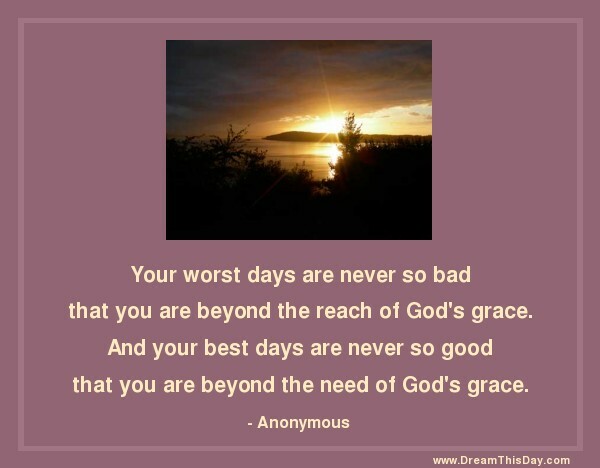 that you are beyond the need of God's grace. You can have everything you ever need - just by asking. You always have access to The Peace Of God Which Passeth All Understanding. Those who give have more left.